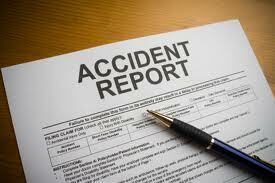 Every year over a million people in the United Kingdom have some form of accident at work. Thankfully, for the most part, these are only minor incidents such as a paper cut, but some are far more serious and result in the injured employee having to make a claim against their employer to receive compensation. It really is more common than you would think to trip over a box or fall off a ladder at work. Unfortunately, numerous people sustain injuries at work and could be eligible to make a claim but they decide against doing so through fear of losing their job. However, this is simply not the case. Your employer has no legal right to sack you or treat you unfairly for making a personal injury claim against them, in fact, if this were to happen, you would be able to make a separate claim for unfair treatment or dismissal. Furthermore, any successful accident at work claims that result in a compensation payment to the injured party will be paid out by the company’s insurance policy. As a result, your employer doesn’t directly have to pay any compensation, but they would see an increase in their insurance premiums if a claim were to be made. According to The Health and Safety at Work Act 1974 all employers have to provide their staff with a safe and secure working environment and if someone is injured due to a failure to meet such requirements, they could have valid grounds to make an injury claim. You will need to hire a personal injury solicitor to manage your claim. They will be able to help you ensure that your claim is as strong as possible by highlighting which forms evidence will serve you best, and they will also carry out the claims process for you. Each personal injury solicitor differs in terms of skills, experience and personality so you need to make sure that you choose the right person or company to take your claim forward. This is because you have to be able to trust your solicitor and have faith in their ability to get you the compensation you deserve. Preferably, if you can find a solicitor who has successfully handled accident at work claims in the past, you will be in a much more favourable position as they should know the best course of action to take. On average, personal injury claims take around 8 to 12 months to complete, which means that it won’t all be over in just a few short weeks. You need to be prepared for a lengthy process.